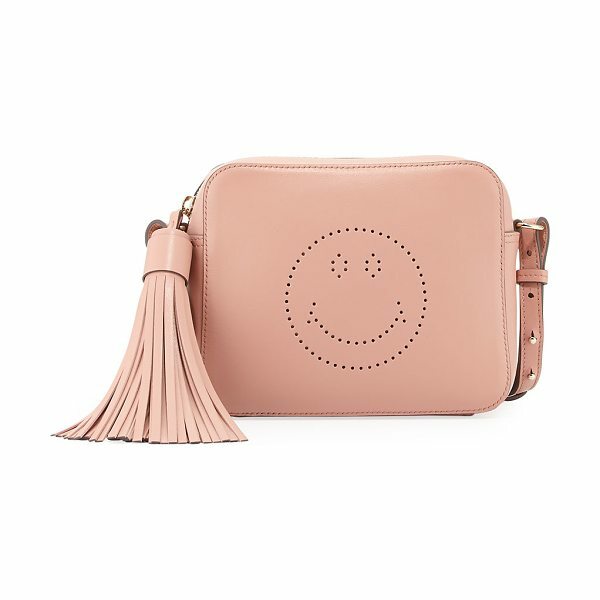 Anya Hindmarch leather crossbody bag with perforated smiley face at front. Golden hardware. Adjustable shoulder strap, 23" drop. Zip top closure with tassel pull. Exterior, back zip pocket. Interior, suede lining; three card slots. 5.8"H x 7"W x 2.5"D. Weighs 10.9 oz. "Smiley" is made in Italy.